Which One Is The Best eCommerce Platform For You? I come across a lot of eCommerce store owners completely perplexed, asking me which eCommerce platform should they choose or consider while setting up their online store. 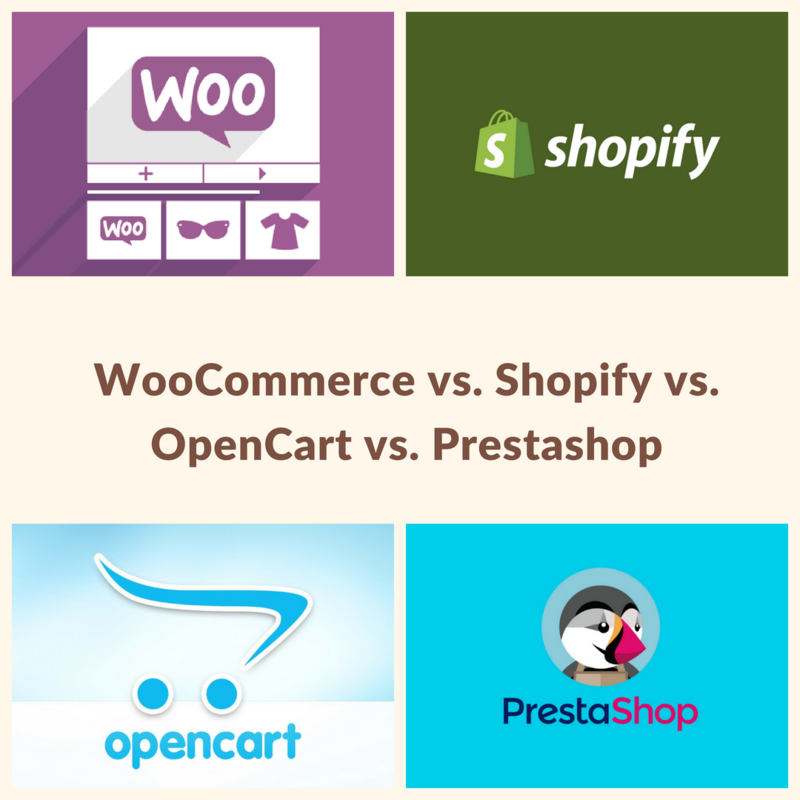 And although I have tried to put my thoughts across as to which one is better between WooCommerce, Shopify or OpenCart earlier, it was time I included some new insights into it and also include PrestaShop in the list of comparison. 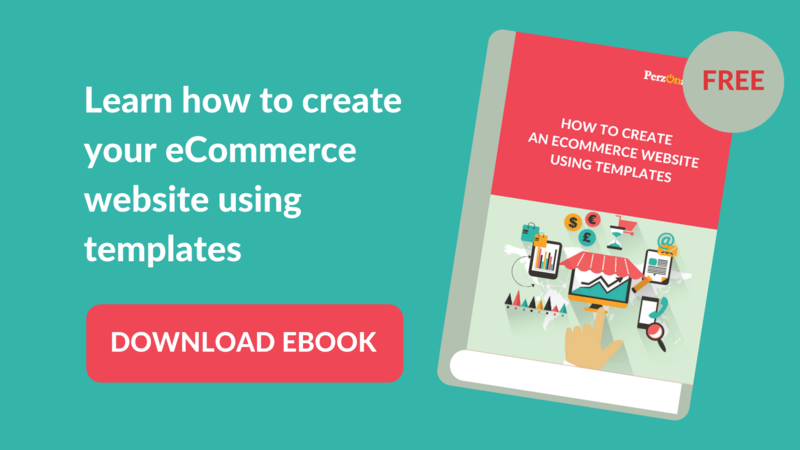 Download your guide and learn how to create an eCommerce site with themes. However, before we start with an in-depth comparison of all the four platforms, it’s important that we cover the basics and understand what one needs to look for in an eCommerce platform. A good ecommerce platform will feature a good hosting environment, unrestricted API call volumes, fully customizable free themes, SEO capabilities, comprehensive marketplace for modules and a responsive design Tweet This! WooCommerce is an open-source eCommerce plugin developed for WordPress. With WooCommerce you get to leverage the most powerful content management system (CMS), WordPress, and use it to run an eCommerce store. The platform being open-source, you can easily customize every aspect of your online store and build extensions. The platform is self-hosted, which means that all your important files are on your own server and you have the control to modify everything on your store, as and when required. Shopify is a comprehensive eCommerce platform which allows you to create and run an online store and its various aspects like managing inventory, accepting payments etc. – all from a single platform. With Shopify you will never have to worry again about the technicalities of managing an online store like security, web hosting, caching, etc. I think one of Shopify‘s selling points is its themes and their visual quality. They look absolutely stunning out of the box. The platform comes with more than 54 different store templates, some of them free. And each theme has its own unique variation. So technically, you are getting more than 100 different designs. Shopify is a hosted eCommerce platform. Therefore, although the platform hosts and manages the software for you and offers you a lot of flexibility, you can only make those changes that Shopify allows you to. OpenCart is a free open-source shopping cart solution known for its lightweight and simplicity. It is a self-hosted platform with a rather easy installation procedure. Unlike other popular open source solutions, the platform is fairly easy-to-use and its advanced template system allows you to modify the look and feel of your online store at your comfort. However, when it comes to customizing your online store, it may appear slightly complicated to some. Lightweight put packed with all the essential eCommerce features, OpenCart doesn’t need heavy server configurations to run eCommerce stores. Its code is easy to understand and modify as compared to other systems. A powerful eCommerce platform and suitable for both beginners and for large online stores, PrestaShop brings immense opportunities for eCommerce stores built on it. It’s an open-source eCommerce solution which users can either host on the cloud or download from the PrestaShop website. The platform hosts an extensive list of features and integrations, and is backed by a large community of more than 800,000 members who are constantly working towards keeping PrestaShop dedicated to open source eCommerce. What you need to look for in an eCommerce Platform? Your eCommerce store is not a just a place where you showcase your products. It is a place which needs visitors/customers in order to thrive. You need to consider the marketability of the store, consider its scalability and also make sure that your store is searchable on Google and other search engines. For all these things to happen, you need to look at few things which are absolutely necessary to keep in mind when choosing an eCommerce platform. Cost or Budget – This is the initial cost that will incur on your platform when you start your eCommerce store. Payment Options – The platform should be able to support multiple payment methods like Stripe, PayPal or other merchant processors. Integrations & Add-ons – This will determine the platform’s flexibility to integrate with third-party apps and extensions. SEO Capabilities – This factor will define if your platform will make your eCommerce store Search Engine – friendly or not. eCommerce Market Share – I personally recommend considering this option because this will really give you an idea of how the platform performs in real world. Let’s then get to breaking down each of the four platforms into these 5 benchmarks and see how they perform. The cost of starting a WooCommerce store is significantly lower than its counterparts. And WooCommerce also doesn’t charge you a percentage fee on your transactions. Many might see that as a real perk. However, the cost starts adding up when you buy paid extensions and plugins. Your hosting cost will also increase when your store starts to grow. The plus side is that, there are tons of free plugin alternatives to the paid ones and you can only choose to pay for those which you actually need. The platform provides PayPal and Stripe by default. It supports most of the other popular payment service providers with the help of its add-ons. When it comes to payment gateways, WooCommerce also supports many regional and less popular payment services. Since there is no barrier to entry, any third-party payments company can create its add-on for WooCommerce and provide support for it. 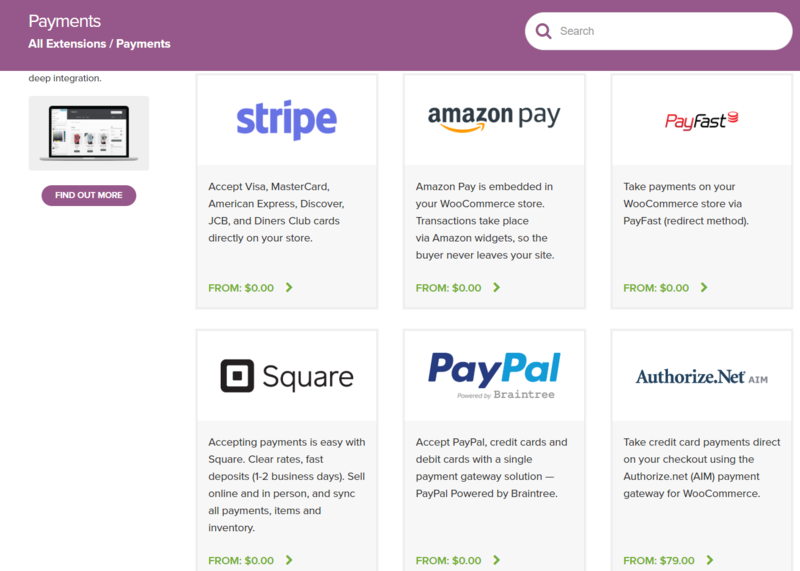 You are only charged a transaction fee by your payment gateway or bank. The platform gives you access to over 50,000 free WordPress plugins and many more in paid options. These plugins can be used for a variety of functions – like lead generation, SEO, payment gateways, personalization and much more. Almost all third-party tools and service providers will have their own version of a WooCommerce compatible add-on. 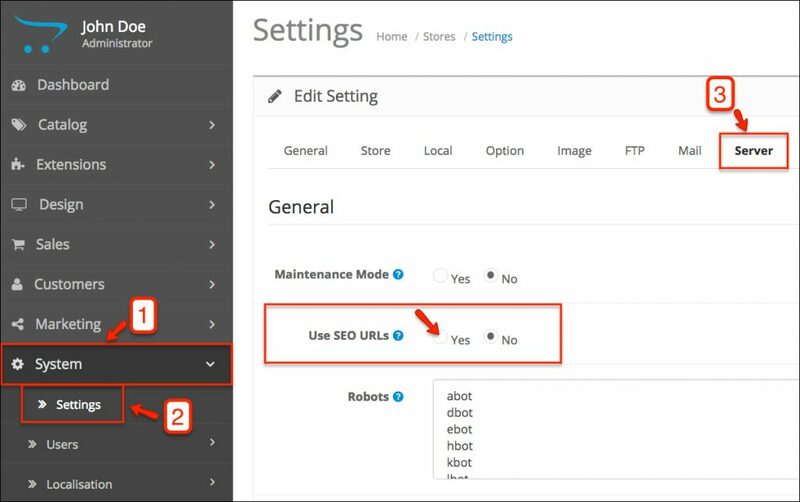 Since WordPress is primarily a content creation platform, and is regarded as one of the most reliable options available, WooCommerce’s SEO friendliness comes from the fact that you can comfortably edit URLs, body content, Meta descriptions, alt tags and other page elements with the WordPress Editor to better optimize your website pages. Overall, WooCommerce gives you quite a few SEO-specific options like Yoast SEO, purely because of the fact that it’s built on top of WordPress. As per a report, WooCommerce accounted for 28% of eCommerce market share in 2017. Shopify’s basic plan starts at $29 per month, and you can upgrade to their Shopify Plan or the Advanced Shopify Plan for $79 and $299 respectively. SSL certificate, domain name and web hosting is included in each of these plans. The basic plan is comprehensive enough for you to set up our new online store. The pricing doesn’t include third-party tools and add-ons. And as your business grows, you will need to spend much more than the basic plan. Another important thing to factor in here is that Shopify offers its own payment solution which will cost you 2.9% + 30 cents per transaction. With third-party payment gateways or your own merchant account, you will need to shell out a flat fee of 2.0% for all transactions. However, you can bring this fee down to 0.5% by using the Shopify Advanced plan. The platform offers plenty of payment options to choose from. It also has its own payments solutions called Shopify Payments (powered by Stripe) and all other popular third party payment gateways. But as I stated earlier, Shopify charges an additional 2% fee on every transaction made through third-party payment gateways. Powered by a strong API coupled with an App Store which houses tons of third party add-ons for your Shopify store, you can practically have all features of your online store covered. Shopify’s app store contains both free and paid apps. Free apps are typically created by third party services and have their own pricing; and the app only consolidates your store to their APIs. You have apps for product recommendations, lead generation, SEO and all other key marketing functionalities. Shopify manages basic SEO practices like Meta information and site copy, pretty smartly. As long as your website is producing quality content, Shopify won’t give you a reason to complain as far as a strong user engagement is concerned. Shopify – carrying one of the cleanest codes and a natural linking structure – goes a long way in offering a smooth user experience and increases the visibility of your online store on search engines. According to a report, Shopify currently hosts 310,323 live websites. OpenCart is a FREE open source solution built on PHP/MySQL code. There is no entry-level set up fee and it comes with free downloads and zero monthly fee. The OpenCart provides a variety of payment methods – from online payment gateways to bank transfers. Following are some of the payment options available with OpenCart. OpenCart houses one of the biggest selections of modules and extensions to provide your eCommerce store with all the functionalities you need. The OpenCart marketplace houses more than 13000 modules and themes to kick-start and grow your business. From beautiful and aesthetically appealing themes for any business sector to payment providers, service integrations, shipping modules, social media, accounting, marketing, reporting and even language packs – they’ve got it all covered. #2. Now, find the file named .htaccess.txt. on your site’s root folder and rename this file to .htaccess. #3. Subsequently, enter the main keywords for each of your products’ pages or categories for which you want the URLs to be rewritten. You can do this by navigating to the data tab when creating/editing items. #4. Set ‘Meta Title’ and ‘Meta Description’ for each product, their category, and the page. You can do this from Systems>Settings. #6. Optimize your store for speed. You can either use a caching solution or a good hosting provider with more speed. OpenCart occupies a whopping 37% market share in India, whereas in US it has 7% of the total eCommerce market share, according to a report. In Singapore the platform accounts for 18% of the total eCommerce space, and in UK OpenCart is at 12.28%. PrestaShop is a free open source eCommerce solution. If you are an online merchant or an eCommerce developers, all you need to do is to visit their website, download and install the software. With the free module, you can build a basic functional eCommerce store for free. However, if you want to buy add-ons, the costs will average between $50 and $150 per module. Modules will typically include Abandoned Cart Reminder, SEO Expert, Loyalty Coupons etc. There are no on-going monthly expenses and PrestaShop doesn’t charge users for a monthly subscription fee. Online Store Builder – This feature provides users with professional eCommerce templates capable of displaying unlimited products and optimized for different devices. Users also have the option to customise shopping carts and select a desirable payment option. Online Store Management – The online store management feature allows users to simplify functionalities such as running promotions or easy order processing. The platform also employs built-in SEO features that make it easy for the online merchant’s products to rank on search results. Online Store Marketing – This includes online inbuilt marketing tools to help you boost your sales. The platform’s cross-border features help businesses explore new markets. With the PrestaShop eCommerce platform, you can accept payment from your customers using several different payment methods, such as bank wire, checks, cash on delivery through different partner modules such as Moneybookers, PayPal, HiPay, etc. Modules list. This is basically, a shortcut to “Payments & Gateways” section of the module list, in the “Modules” page. You can install modules directly from this page. Currency restrictions: Choose the currencies with which your installed payment modules should work. Group restriction:. Choose the user groups which will work with your installed payment modules. Country restrictions: Choose the countries which are aligned to your installed payment modules. PrestaShop 1.6 comes packed with more than 120 modules which can be installed/uninstalled and configured as per your need and as and when you need to customize your shop. The array of possibilities is virtually unlimited. PrestaShop is quite extensive and robust when it comes to transforming your online store. Additionally, you will always find the module that fits perfectly to your need from the marketplace, which has more than 3000 modules to help you customize your store. When it comes to basic on-page SEO, although there are no plugins to generate auto Meta descriptions and titles in real time based on a template in PrestaShop, you can try the SEO Manager module from CodeCanyon for this. However, each time you add a product or a category, you will have to press the ‘Update’ button. In other words, the platform can be made search engine friendly with a little bit of work. In US and Netherlands, PrestaShop accounts for 6% of all eCommerce websites, whereas in Spain it is the most popular eCommerce platform accounting for 33% market share. The table below will sum up a few more comparison parameters between the 4 platforms for you. Product Info eCommerce toolkit based on WordPress Open Source eCommerce platform An eCommerce platform with a host of features allowing you to build and operate an online store Open-source shopping cart built on PHP/MySQL code. KISSmetrics and a few more. Integrations come with business systems and applications like PayPal, MYOB AccountRight, Authorize.net, SagePay, Skrill, FedEx, UPS, Next Logistics, MailChimp, Khaos, eStore, PikPak, SCIPAY, ShipWire, freshbooks etc. Do your research. Every business is different and so is every business requirement. Don’t base your decision solely on the marketing associated with the brand. Do your homework on each of the platform. If required, get on the phone with a sales rep and clarify all your doubts. Make sure you completely understand what you are looking for and what you are being offered. Product experiences can differ according to the user. Before you sign up for a platform, make sure you know who is going to use and manage it and which interface they are comfortable with using. Choose a platform which is easily manageable and doesn’t take a lot of your time. Remember, you have a business to run after all. The right eCommerce platform without the right hosting company is no good. A poorly hosted site can impact your search engine rankings negatively by increasing the site load time or by causing site downtimes. 24/7 support, daily backups, whether the server is a shared server are few of the doubts you might want to clarify before selecting a hosting company. There is no “one size fits all” solution for all online stores. Every ecommerce platform discussed in this article is built for different kinds of business requirements. While the benefits don’t make them the best, the limitations also don’t make them the worst. At the end of the day what matters is which shopping cart software works for you. This article is curated for you to understand what’s on offer and help you to make a calculated decision to be able to choose a platform that serves your needs best. Hence, choose wisely, and watch while your business grows. Cheers!